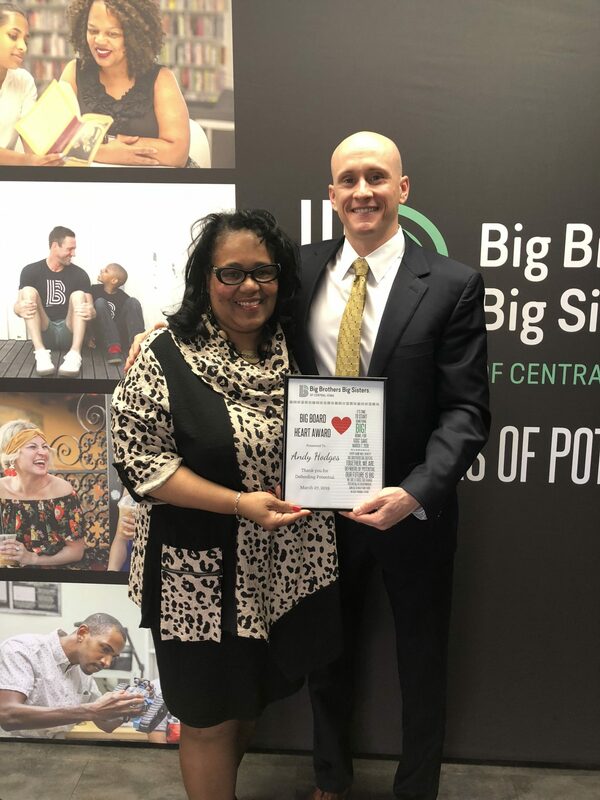 CEO Renee Hardman presented the March Big HEART Board Member Award to Andy Hodges, who is the Vice President at Signature Commercial Real Estate. Before joining the Board this past December, Andy served on many event committees, including the 50th Anniversary Gala. Most recently, Andy chaired the Bowl For Kids’ Sake committee. In addition to being on the Board and event committees, Andy is also a Match Maker. Thank you, Andy, for being an excellent Board member and all that you do for Big Brothers Big Sisters.